Description: This is a 9.9 mile strenuous circuit with a 2000 foot increase in elevation. 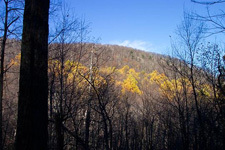 The first 1000 feet occur easily along the first 4 miles of the trek with two short climbs. The next 1000 foot gain occurs rapidly over a mile as you climb up Indian Run Trail. The rest of the hike is relatively downhill or flat with just a few “teaser hills” to remind you that you are still in the mountains. There are four creek crossings in the first 2 miles which are problematic only during periods of high water. OK, so that’s most of the down side. On the up side the first 4 miles are spent walking in close proximity of the picturesque Hughes River with its numerous wading pools and swimming holes. There are lots of wildflowers on this circuit and historically there is Corbin Cabin, an old homesteaders home, to visit. 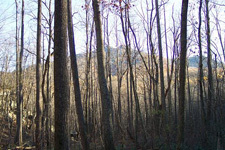 After you descend from Corbin Mountain you will hike about 2 miles through Corbin Hollow. Occasionally you will be in close proximity to Broken Back Run but most of the time you will be above it during this portion of the hike. The remainder of the down side is the last 1.6 miles along Weakley Hollow Fire Trail. Road walking can be boring but at least the area is well wooded and the pace should be fast. 1) Stinging Nettles can be an issue all around the SNP in the summer months. The PATC volunteers do a great job of keeping the sides of trails clear of these plants but sometimes a spot or 2 gets overlooked. Stay on the trail and learn how to identify these pesky plants. 2)This hike can be decreased to about 8.3 by taking Corbin Mountain Trail east instead of south (left turn at the end of Indian Run Tr.). Corbin Mt Tr is not shown in its entirety on this map. 3)This hike can be extended another 0.3 miles and made harder by utilizing the Robertson Mt Tr instead of Nicholson Hollow Tr as part of your return route. You’ll climb another 500 feet but be rewarded with some fantastic views. Trail Notes: (All trails are blazed blue.) From the pull-over for four vehicles, turn right into a private driveway and veer to the right to pickup the beginning of Nicholson Hollow Trail. Almost immediately cross both Broken Back Run and then Hughes River on large rocks. Follow the north bank of Hughes River upstream. At about 0.7 miles pass the junction with Corbin Mountain Trail on the left and at another 0.8 miles the junction with Hot Short Trail on the right. In another 0.4 miles cross Hannah Run and pass the junction of Hannah Run Tr on the right. In another 0.46 miles ford Hughes River. This is a nice wading pool! Continue along the south bank of Hughes River. Climb steeply for a bit. The trail will soon flatten out. There are other nice pools between here and Corbin Cabin. The best ones are marked by little side trails. Keep an eye out for them. 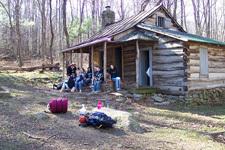 You will make one more short climb before reaching Corbin Cabin. In 1.4 miles from the Hughes River ford come to Corbin Cabin and Corbin Cabin Cut-off Tr. This is a great lunch spot. There is plenty of shade and a cool pool close by. After lunch continue for another 0.26 miles and turn left onto Indian Run Trail. The next mile is the hardest part of the trek!!! You will climb 1000 feet in one mile, passing several false summits along the way. If you need to take a break along this climb take it!!! After you reach the top the rest of the hike is quite enjoyable so why beat yourself up at this point! 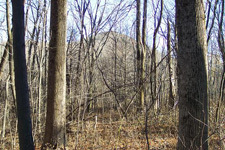 Reach the summit at one mile and proceed another 0.3 miles to the intersection with Corbin Mountain Trail. 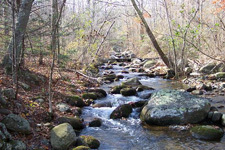 (To make this an 8.3 mile hike turn left onto Corbin Mt Trail and follow it back to Nicholson Hollow Trail, crossing Hughes River just before reaching the latter. Retrace your foot steps back to the car.) To complete the circuit as described here turn right onto Corbin Mountain Trail and descend to Old Rag Road. Turn left onto Old Rag Road. Soon turn left onto Corbin Hollow Trail. Corbin Hollow Tr stays above Broken Back Run except near the beginning and then at and beyond the ford which is about 1.5 miles from the last trail junction. There are some scenic spots along this portion of the trek. We did it in a downpour so my camera stayed in it’s case. In about 0.5 miles from the ford re-cross Broken Back Run and step out onto Weakley Hollow Fire Road. Turn left here and follow the road approximately 1.6 miles back to your car (2.0 miles if you parked in the overflow lot). Read about our recent trip to Nicholson Hollow. Critique: Not many people know or care about this hike, as obviously the main draw is and always will be Old Rag. The weather was ideal for this time of year (sunny, low 48, high 74), calling for two layers, one of which I stripped off at about 10 in the morning. The first few miles along the Hughes River are a real treat. 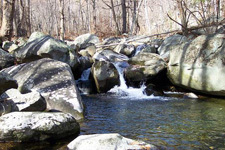 The area is well-shaded, the water is refreshing, and theres tons of boulders and fallen trees to climb. The climb to Corbin Cabin is hardly noticeable; its the Indian Run Trail that will gas you. I noted two bear spore on the trail, but no bears, fortunately. I enjoyed myself so much on the river that I opted to return via the Corbin Mountain Trail eastbound, figuring I will experience the Corbin Hollow Trail at a later date, probably coupled with Robertson Mountain. Leaving Indian Run Trail, the Corbin Mountain Trail is pretty ho-hum for the first two miles, with one partial view of Old Rag to the south. Then the trail descends steeply to the river. This downhill section seemed to last forever. I couldn't believe I had gained this much elevation at the outset of the hike. Acorns covered the trail, making it slippery in spots. I had one close call, sliding about 6 feet off the trail, and arrested my fall by jamming my toes into the loose earth. I guess that's nature's punishment for my wandering off the trail guide! All day I saw only one hiker but I passed six backpacking groups, half of them headed up Nicholson Hollow Trail as I made my way back to the parking area. I enjoyed this hike, but the only reason I would return in this direction would be to play on the Hughes River again, or combine it with some of the other trails around Catlett Mountain. Critique: I did this hike on a Holiday. The Old Rag overflow area was packed, I had trouble finding a parking place. However, I only met up with 2 groups of hikers on the trail. There is nothing specific that is outstanding about the hike. However, the hike is remote and the trail shows signs of very limited impact. In fact, in the muddy areas, almost all the tracks were from deer or bears. I did see a medium size bear on the hike, it climbed a tree when it heard me approach. It stayed still for about a minute, climbed down and ran away. Overall, the hike is well worth the effort. Critique: We decided to strap packs to our backs and make this an overnight trip. Pretty much did all the up hill the first day and the downhill the second day. It took us a while to find a flat, rock-free spot to pitch a tent but when we did it was great. We set up camp about a half mile from a trickle of Brokenback Run where we could get some fresh water. All in all, good times. We caught the attention of a doe that visited our camp site twice and caught sight of a young bear on our hike down Corbin Hollow trail. Trail) is littered with freshly fallen trees from storms over the past week or so. We moved the small ones, but some bigger ones we had to climb over or under.